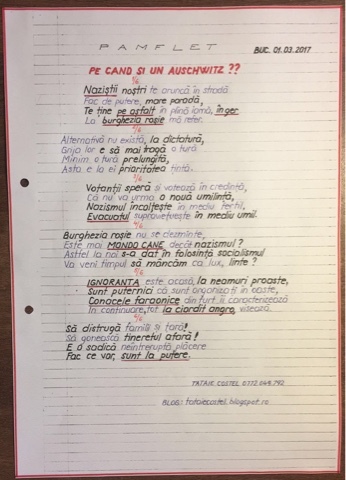 Tataie Costel: PE CAND SI UN AUSCHWITZ?? PE CAND SI UN AUSCHWITZ?? IGNORANTA PANA LA CAPAT, TOVARĂȘI! SLOGANUL DREPTATE PANA LA CAPAT! AM VOTAT ROMANI PUR SANGE?